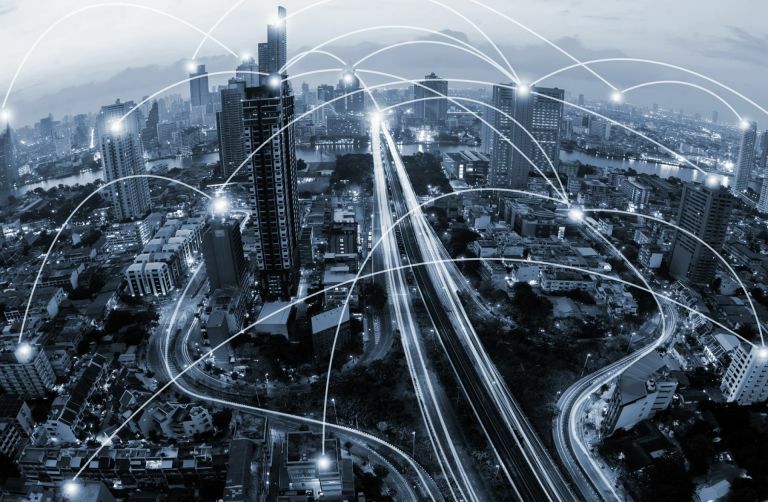 The IoT has created a world where an astounding number of objects can connect to the Internet, communicate, and share data. A wider consumer adoption of these devices, primarily in the home, indicates that our physical environment will only become more interlinked in coming years. While many organizations are still coming to terms will how they will leverage the deluge of data collected by IoT systems, there are many ways in which it can lead to better health outcomes for individuals – right now. The first serious attempts at creating smart home systems came in the ’70s with the widespread availability of large-scale integrated circuits and the concomitant increases in processing power that they enabled. Early applications were bulky, expensive, prone to failure and very limited in the amount of information they provided. Developments in communications technology, processing throughput and artificial intelligence have allowed the industry to progress to the point where today’s products allow even non-technical users to set up useful, intuitive home automation equipment that is capable of capturing mountains of data. Platforms for the collection and transmission of health-related data are now becoming popular, and they can integrate seamlessly with most modern smart home frameworks. Driving demand for these systems are seniors aging in place, people with chronic health conditions and health workers concerned with their ability to provide care outside the traditional hospital and office environments. Telemedicine is becoming a major force in the industry, but even in cases where care is delivered through inpatient and outpatient visits, automated home devices can help ensure compliance with treatment regimens and permit speedy responses in the event of an emergency. Fitness trackers, like Fitbit, are wearable objects that assist patients with their exercise routines and store records relating to heart rate, progress toward fitness goals, sleep duration and more. Sensors can monitor patient movements in real time and notify caregivers whenever something is amiss. Diabetics can now take blood sugar readings with smart glucose monitors, which upload the information to servers so that it can be reviewed later on by health workers. Even hardware that is not directly related to health treatments can be repurposed to that end. There are an array of smartphone apps to help manage debilitating illnesses, like Cancergraph by Malecare. Smart thermostats and cameras help keep people safe and secure: an important preventative health goal. Digital AI agent software, like Amazon’s Alexa and the Google Assistant, function as “command centers”, controlling disparate home automation devices via voice or smartphone. The stats coming in from these pieces of equipment can continually monitor patients and combine together to enhance diagnostic accuracy and foster better care going forward. Metrics relating to weight changes, blood pressure and disease symptoms are easy to capture today in ways that would have been impractical or viewed as intrusive in the past. The fact that the data is not just reported once but can also be retained for later analysis gives doctors and nurses more guidance as to the proper adjustments to make given a patient’s historical responses to treatment. In the next few years, we can expect many eager consumers to buy off-the-shelf home automation solutions and use them, at least part of the time, to improve their health. Over a longer period of time, corporations with an interest in the spread of health technologies will be able to deploy bespoke mechanisms that are tailored to the conditions they deal with. For instance, Lenovo is working with Amazon to produce a system that will make it more convenient for patients to interface with their care teams even across considerable distances. It will translate short, spoken sentences by the patient into text form so that they can be later accessed by doctors and nurses. Healthsense conducted a pilot project that remotely monitored seniors living alone and intervened whenever they were at risk of negative health events. The results of the study included a reduction in medical expenses of $687 per participant per month. The costs of health care are significant and rising in the United States. According to the Centers for Medicare & Medicaid Services, national health expenditure was $9,990 per capita in 2015. By leveraging the potential of smart home packages to reduce reliance on costly in-person care, resources can be deployed so as to lower expenses while simultaneously delivering better care. As the field matures, we can expect this effect to become more pronounced, enabling society as a whole to better fulfill its obligations to those with health needs particularly the elderly who are expected to number more than 83 million by 2050. Beth Kotz is a freelance finance and tech writer with a strong interest in artificial intelligence and its vast potential for society. A graduate of DePaul University, she is currently based out of Chicago, Ill. You can see more of her latest work here.